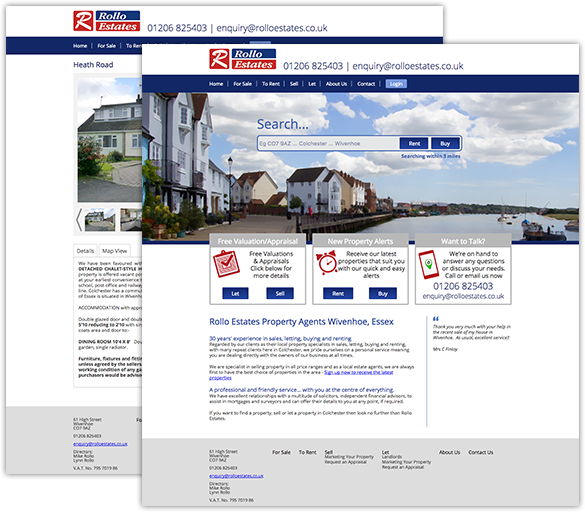 A revisit to a longstanding client where we have rebuilt a new business website offering new functionality and better administration in a neatly designed package. 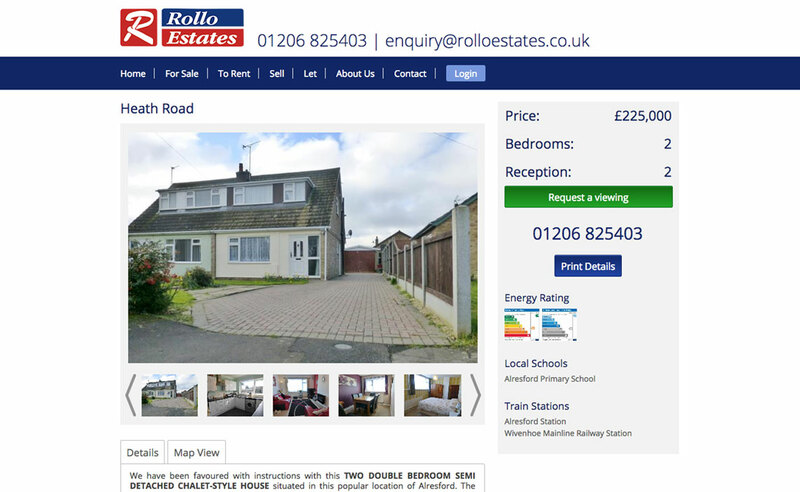 Taking an old estate agent website, built quite some years ago, and bringing it along to work with today’s necessities required by business websites is something we work on readily. The need for mobile compatibility, ever changing rules in how a website is found and the need to keep a website secure are some of the fundamentals we now face as website owners. 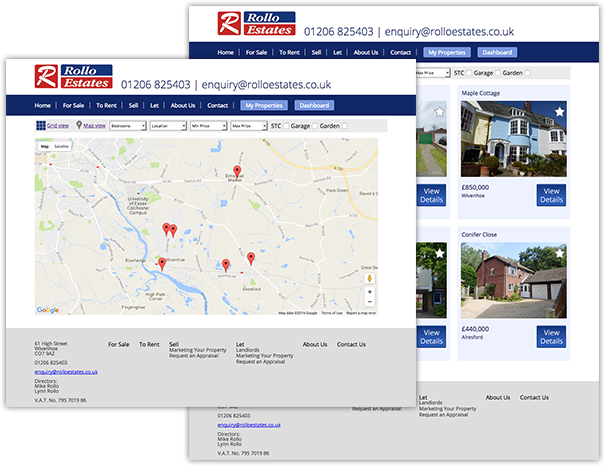 For the visitor, the website offers the ability to locate, filter and save various rental and sale properties within a local area specified by the estate agent, view information in more detail and request further information. 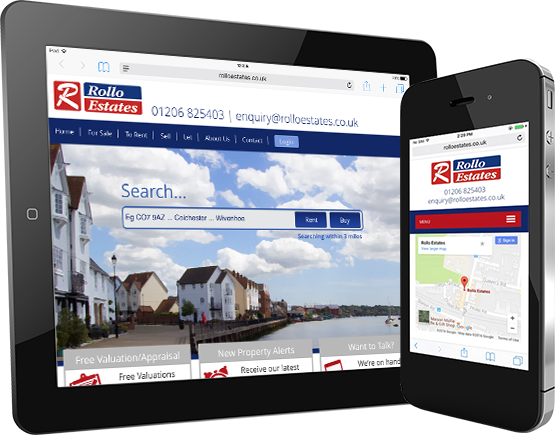 For the company, it allows the site to be administered with ease. 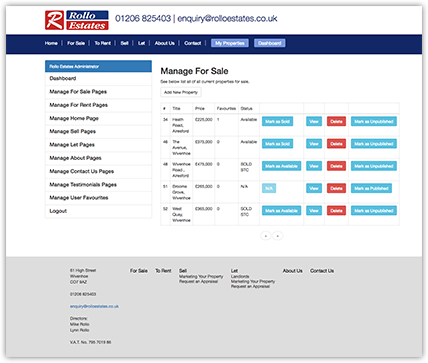 They can add properties, images, information and PDF’s to the website database, stipulate search area, respond to enquires via the easy filtered enquiry forms and hide and reveal properties as they are let, sold and available. 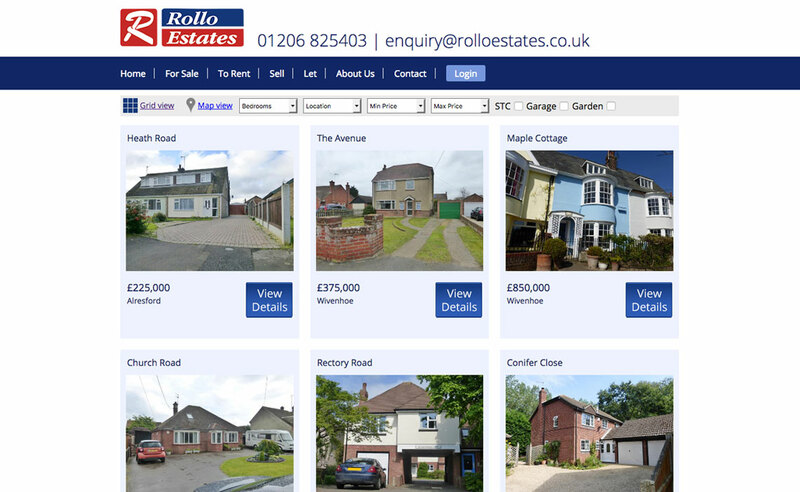 The website itself is designed to be easy to use from a user point of view, with the information instantly accessible to view ‘let’ or ‘for sale’ properties, whilst also being able to access company information to find out about Rollo and their processes. 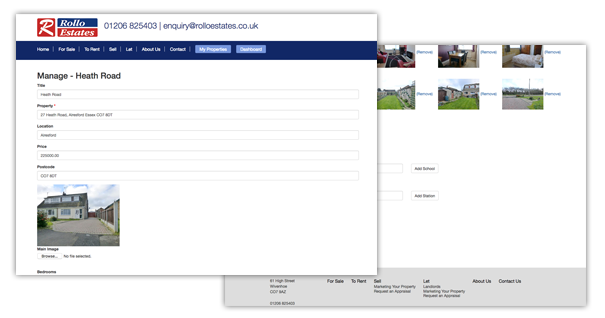 From a company marketing point of view, call to actions are applied to encourage visitors to sign up to their database in order to receive auto emails as and when a property becomes available within their search criteria. 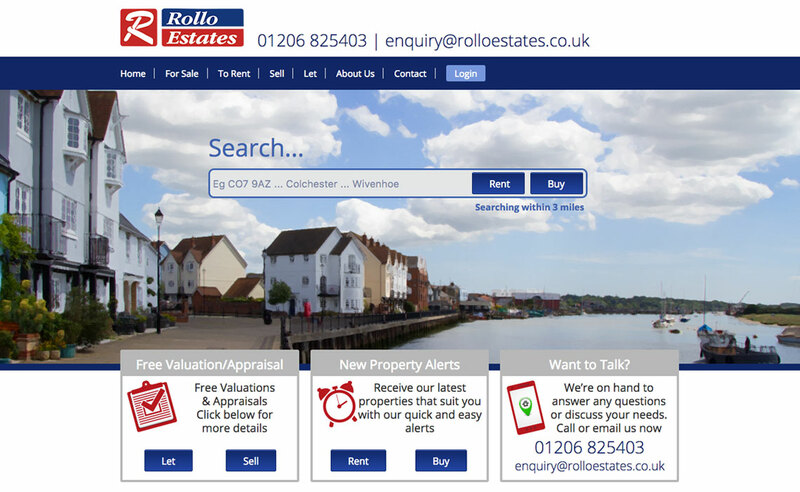 The website itself is designed to be easy to use from a user point of view, with the information instantly accessible to view ‘let’ or ‘for sale’ properties.